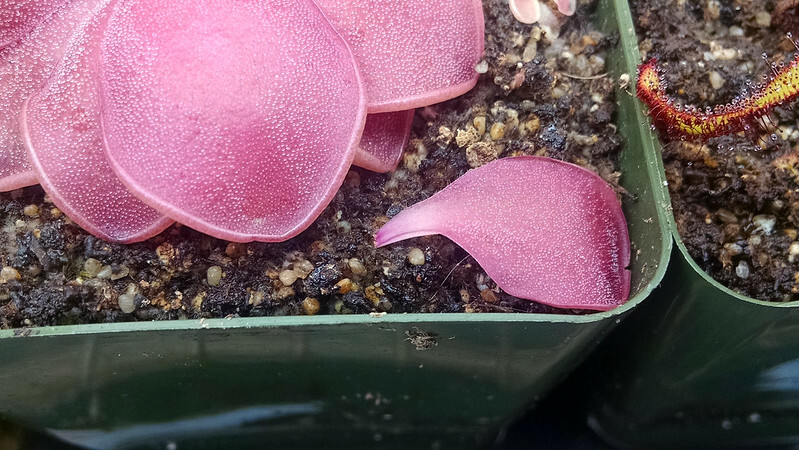 Pinguicula leaf pull update |Sundews Etc. 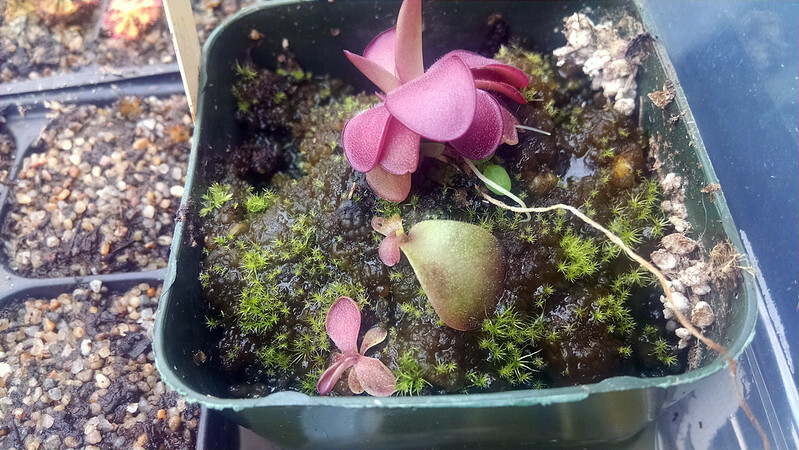 Back at the end of April I yanked a couple leaves from various Mexican Pinguicula. I've had some decent success since then. 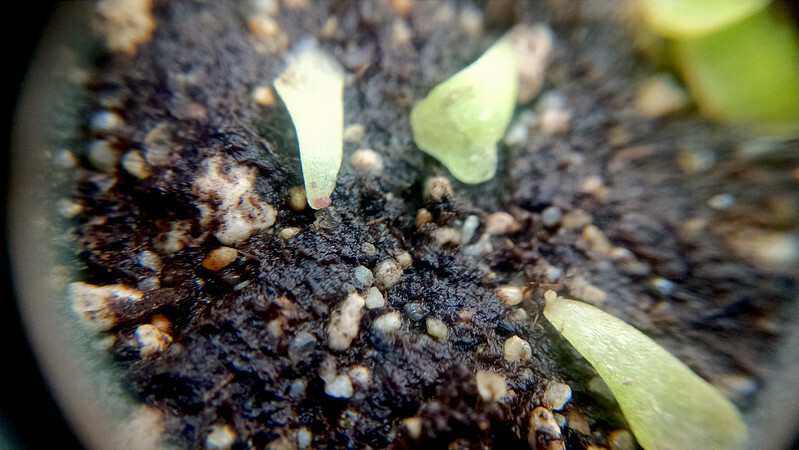 Pinguicula laueana is really a hero when it comes to propagation – this picture is from May 4th, just 5 days after I took the pullings. P. laueana leaf pull after 5 days. Same leaf pull after 2 weeks. This guy has been very reliable for me when it comes to leaf pulls. This bodes well for the future. Next up is Pinguicula 'Pirouette'. If you look very closely at the leaf base (click the picture for higher resolution) you'll notice some little bulges that are definitely strikes. P. 'Pirouette' leaf pull after 2 weeks. I donated some plantlets from an earlier leaf pull to the NASC auction. Now I've got to get some started for the next BACPS meeting. 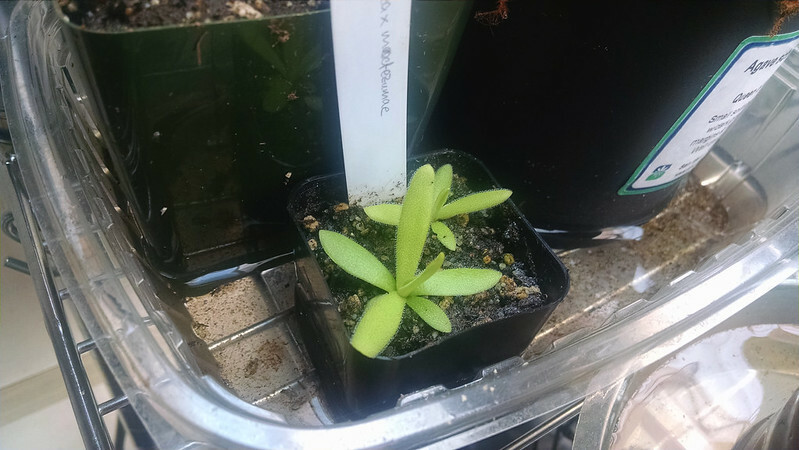 I haven't seen any action on the Pinguicula gigantea or the Pinguicula agnata that I started at the same time, but the Pinguicula rotundiflora that I posted about last night is getting right to it. I'm well on my way to ultimate cuteness. 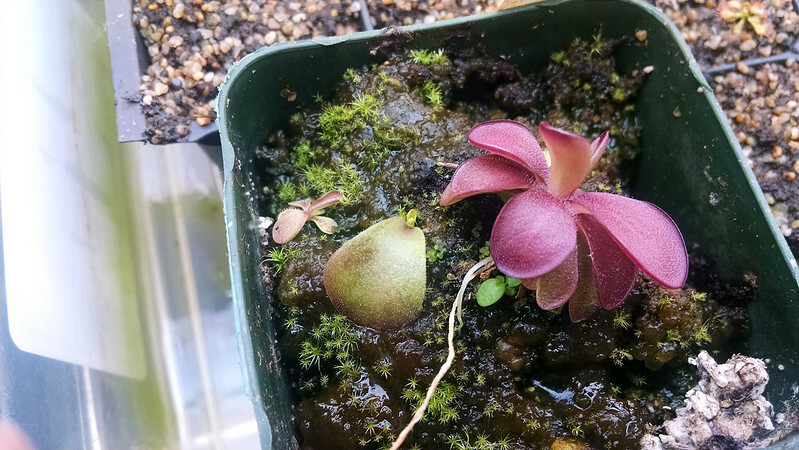 In other ping news, the Pinguicula gigantea × moctezumae that Anne gave me a couple weeks ago have already put on some nice new growth. Almost time for a bigger pot. 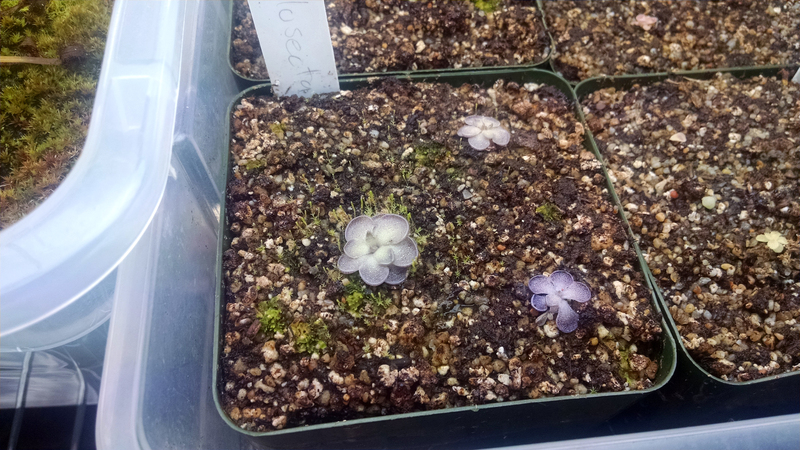 And the Pinguicula cyclosecta that received back at the beginning of February are showing excellent color, and the largest one is starting to fill out its rosette very nicely. That lavender color is so lovely and unique. 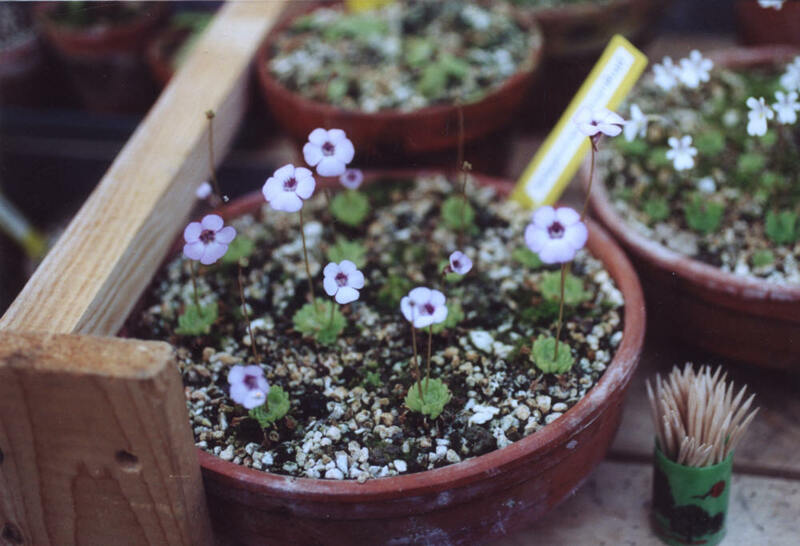 Thank you for visiting Pinguicula Etc.